Stand with Senator Lee Against ObamaCare! ObamaCare is unaffordable, unconstitutional, and unworkable. It’s such a nightmare that even President Obama found it necessary to give his Big Business buddies an exemption. If Obama can’t follow his own law, YOU shouldn’t pay for it. 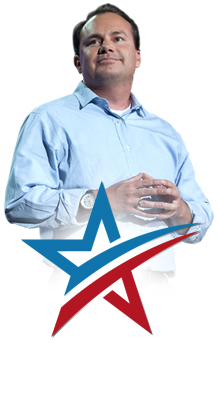 Senator Lee is leading the fight – along with Rand Paul, Ted Cruz, and Marco Rubio – to stop funding for ObamaCare. The fight is simple: Don’t Fund It! Tell Congress: Don’t pass any bill that funds ObamaCare!